Observe with curiosity the activities around us and within without judgement while maintaining our connection to our environment. Orient ourselves to the possibilities presented to us that have the capability of bringing about what we truly want in a given situation. Decide whether to let go or focus on the subject/object by taking action. Act without reservation and simply observe what happens. And thus the cycle of Observing, Orienting, Deciding and Acting is ongoing until the day we pass from this earthly realm. Perhaps with reflection we can learn from our endless cycles and becoming a bit wiser as we do so. Rinse and Repeat. 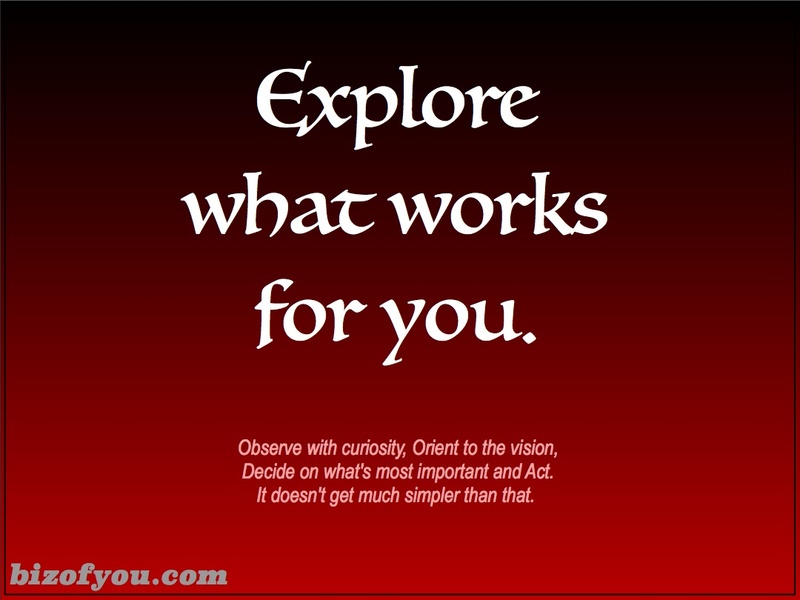 . .
Keep it simple: Observe, Orient, Decide and Act. ← Why Not Ask Why?